Knowing good wine from bad wine is something that is quite difficult for those that do not know much about the process. Everything starts with the basics, which are usually not understood by people from all around the world. This Basic Wine Guide infographic will help you out a lot since it will offer a lot of very interesting tips that you can understand about wine etiquette, and more. The infographic will give you tips about how every single wine type should be served and what wine works best with the meal that you will have. You are even offered tasting tips. We are quite confident in saying that you will learn a lot of things that you had no idea about in the past. For dozens of years now, wine stood out as being a lot more than just a drink. It is linked to a specific lifestyle, a part of history, an adventure in gastronomy and a farming study that aids us to understand various cultures. The only problem is that there are so many different ways in which we can approach wine. Unfortunately, wine basics were lost along the years and now we do not know much about this drink. 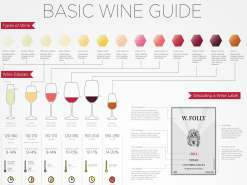 Use the advice offered in the wine guide infographic below in order to learn about some basic techniques that will help you to spot different wine types and gain some wine knowledge that every single person should be aware of. If you practice a little, you will end up instantly knowing what wine you taste. It is something you will love. It is a guarantee that you will be able to order wine just like a pro. 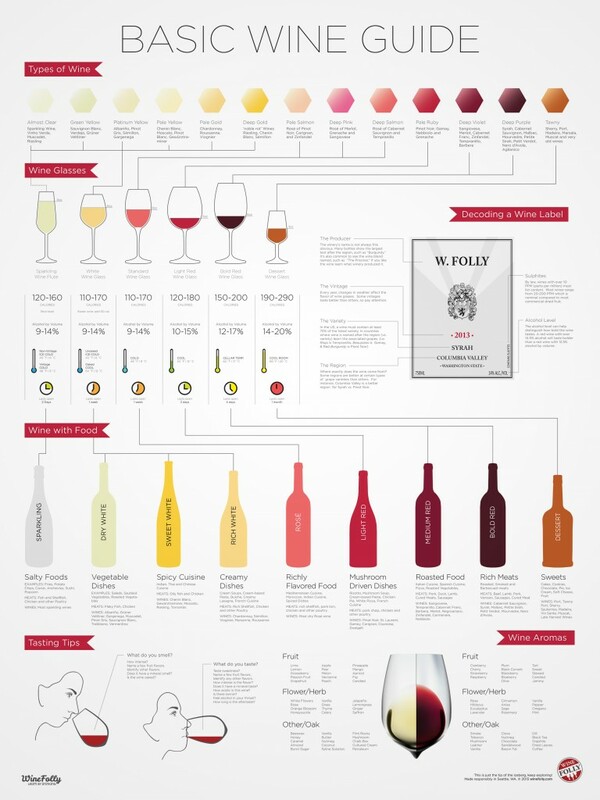 This infographic was created for beginners, for those that do not know much about wine or for those that only know some things and want to put their hands on more knowledge. It will answer many common questions. You can learn a lot about wine glasses, wine styles and how to taste wine like a true connoisseur. The information that we found as being really important was related to how to decode the wine bottle’s label. Contrary to what you may be tempted to believe, you can find so much information about the wine if you know how to look at the bottle. Go through the wine guide infographic and you will surely appreciate all the information you receive.